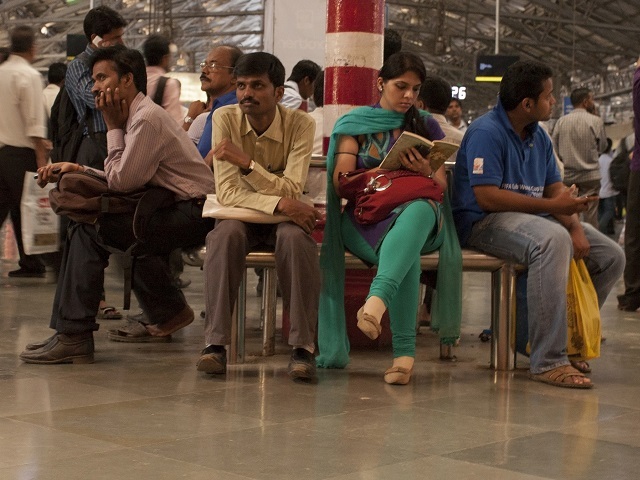 In order to make cities safer and public spaces more inviting for all, EMBARQ India studied how women perceive – and how they are perceived in – India’s urban public spaces. Photo by EMBARQ. While concerns of violence against women are not new, women’s safety in public spaces has received significant attention in India in the past two years. Cities are seeing increased demands around making public spaces safer for women, ranging from better infrastructure, effective policing, more stringent punishment for perpetrators, creating “eyes on the street,” and more. Specifically, planning for safer public spaces goes beyond physical features and requires attention to how men and women express themselves in – and interact with – public space; analyzing who uses them, when, how, and for how long. To understand men and women’s experiences of public spaces, EMBARQ India conducted a national workshop on Gender and Public Space at its CONNECTKaro 2014 conference. The 90-minute workshop was attended by around 50 participants – with 21 women and 28 men, predominantly upper middle class, aged 20-50 years. It consisted of professionals and students. The participants were asked to sketch their experience of an outdoor public open space, responding to seven questions. They were then divided into two groups – men and women – to collate their experiences, and regrouped to discuss their findings. The workshop revealed key factors like sense of security, caste, and social class that must be considered when planning for safer public spaces. The workshop revealed the unexpected and alarming extent to which security bears heavily on how women negotiate their daily activities, both consciously and unconsciously. Both men and women listed many of the same the qualities that made pleasant public spaces – including vegetation, public toilets, and quiet. However, there seemed to be a difference in what constituted unpleasant spaces. Women bore the burden of security in addition to factors such as traffic safety and unmaintained public toilets that both groups reported. Crowds, absence of lighting, people, and the time of day were important parameters for women’s use of public spaces in light of this security concern. While “eyes on the street” are generally considered natural surveillance systems, the people those eyes are attached to seemed important to the women at CONNECTKaro. In short, women’s presence made this group of women feel safe. Thus, it is important to understand what kind of activities bring and retain women in public spaces. Contrastingly, the presence of men did not inherently make them feel unsafe. Rather, groups of men – particularly working class men – sparked general apprehension amongst this group of upper middle class women. When probed, the participants seemed to recall from a collective memory or perception, suggesting that class and caste perceptions influence which eyes on the street contributed to their sense of safety. For the women at the workshop, familiarity with a specific space enabled them to take risks in environments otherwise perceived as unsafe. However, this could also be a double-edged sword, in which familiarity can also police the ways in which men and women feel they can behave. For instance, women’s feelings of safety and comfort could be conditional on conforming to the expected behavioral norms of that particular space or community. Finally, there was also a striking difference in the mood between the men and women’s groups at the workshop. The men’s group laughed and joked throughout while there was a heavier, more intense mood in the women’s group during the process of sharing stories and experiences. CONNECTKaro brought men and women together for a discussion on the role of gender and public spaces. Image by EMBARQ. While urban planning and design measures often advocate for improved street lighting, mixed uses, and eyes on the street, there is also a need to understand how perceptions of safety are cognitively, sociologically, and spatially constructed. Thus, a project for making a city safe for women is not only about physical improvements, but also about their right to loiter without excluding other minority identities. This requires further research on what makes women of different income groups, castes, religion and regions spend time in public spaces, and what kinds of eyes on the street encourage women’s presence in public spaces.